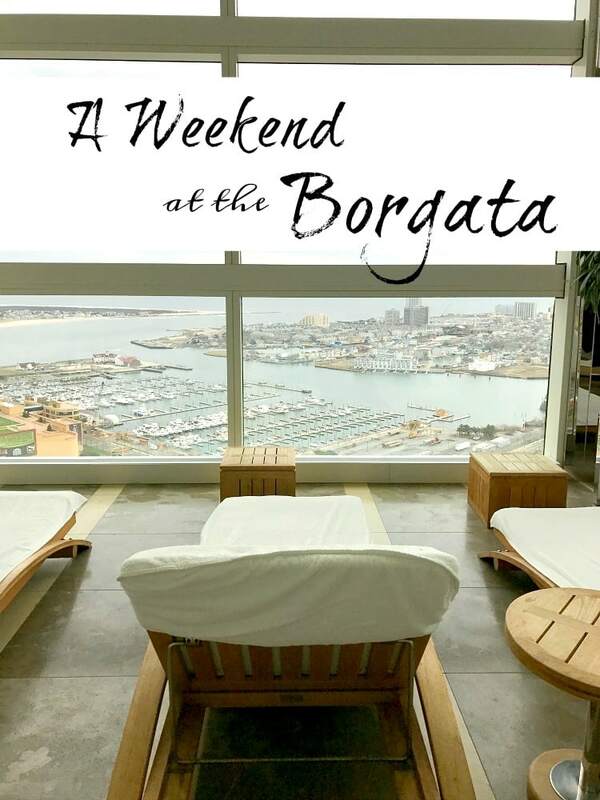 A Weekend at the Borgata in Atlantic City might not be what you’d think, there’s lots of food, cocktails and entertainment but…gambling? Nope, not for me! It’s not that I have anything against gambling, I just don’t do it. I never have and honestly it just doesn’t interest me. 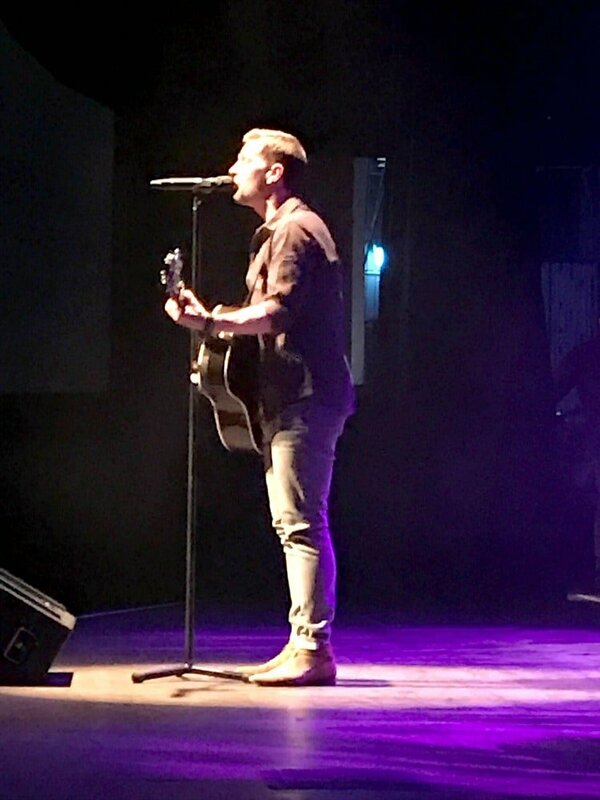 But there’s this weekend in January that Rob Thomas from Matchbox 20 plays a charity event at the Borgata in Atlantic City and my friend and I go to every year. Everyone always asks me why I go to Atlantic City all the time if I don’t gamble…like, what could I possibly do there, they ask??? Eating at amazing restaurants for one. Having cocktails and great wine for two…and there’s lots of entertainment going on like the concert we go and see and night clubs…I’ll get to that in a minute. Usually we get there as early as we can to enjoy as much of the day as we can. And we always start out in the room with a few glasses of champagne. From there we went to linch at a place called NOW, Noodles of the World. I can tell you there’s not much not to like about this place if you like Asian food. They have everything from soup to short ribs, from noodle bowls to more common plates like General Tso’s Chicken and lo mein. 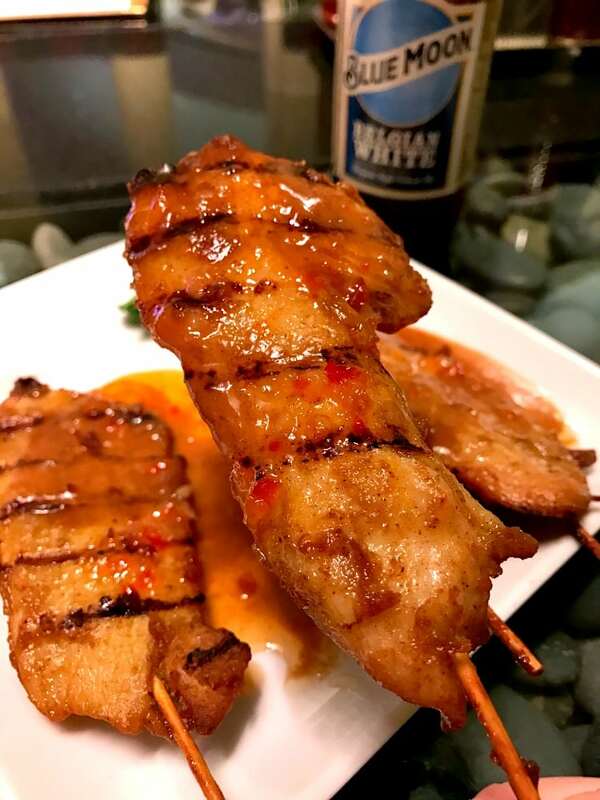 It was really good, just a little spicy but mostly just the peanut flavor that we all love about satay dishes. 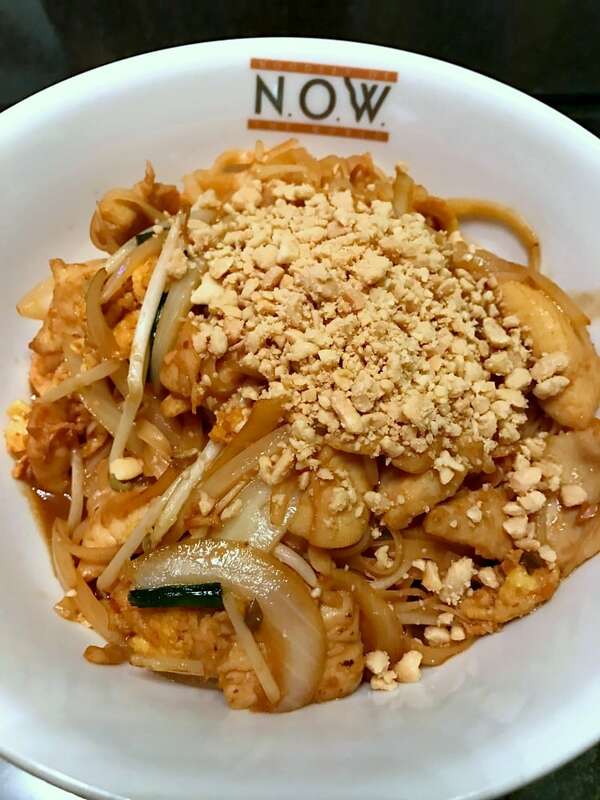 Total comfort food here…tons of noodles, tons of chicken and peanuts, tossed together in a tasty sauce with bean sprouts. Another great thing about this restaurant is that it’s right in the middle of the casino, so if people watching is your thing you’re going to love it. 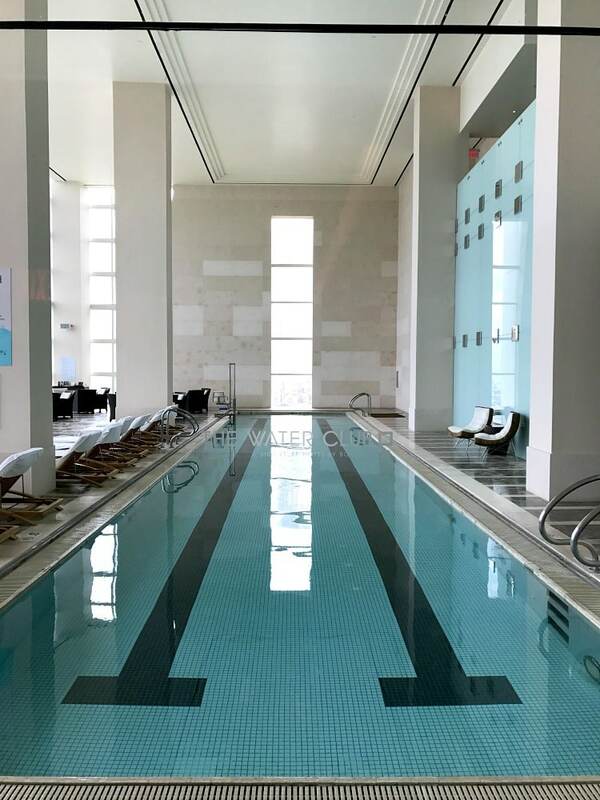 After lunch we walked around the shops at the Borgata, everything iss all in one place it seems, nothing is too far which is another reason I love the Borgata – you’re not walking for miles and miles to get from one thing to another. They’ve got some great boutique stores and gift shops but there was one that stood out for us. It’s called Vintage Wine Boutique. I know that’s a big shocker but yes, we did some window shopping at the clothing stores and then headed straight for this one. 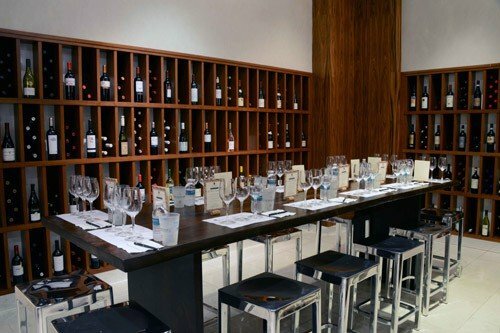 At Vintage you can sample different wines and champagnes before you buy the whole bottle…or you can just go in and have some samples, or take a wine tasting class if you want the whole experience! They have wine tastings that are put together by Borgata’s sommeliers every Saturday from 4-7, Craft Beer tastings on Fridays…this store was so much fun! Getting to try some different types of wines that I normally wouldn’t try was worth going in for. And since I’m an expert wine taster now that I’ve been to Napa…I needed to try some more. After (more) wine we headed back up to the room to get ready for dinner. Because when you’re away for the weekend without husbands or kids or sports and school schedules…we like to take a couple hours and just do nothing. It’s really fun if you’ve never tried it. Doing NOTHING. But the time for dinner came and we were headed off to Bobby Flay’s Steak. Because it’s Bobby Flay. And steak. We have a theory that if you fill up on a good, big steak you can indulge a little more in the boozy drinks for the evening because you’ve got a good base going on in your stomach. Maybe not true for everyone but it’s worked every time for us. 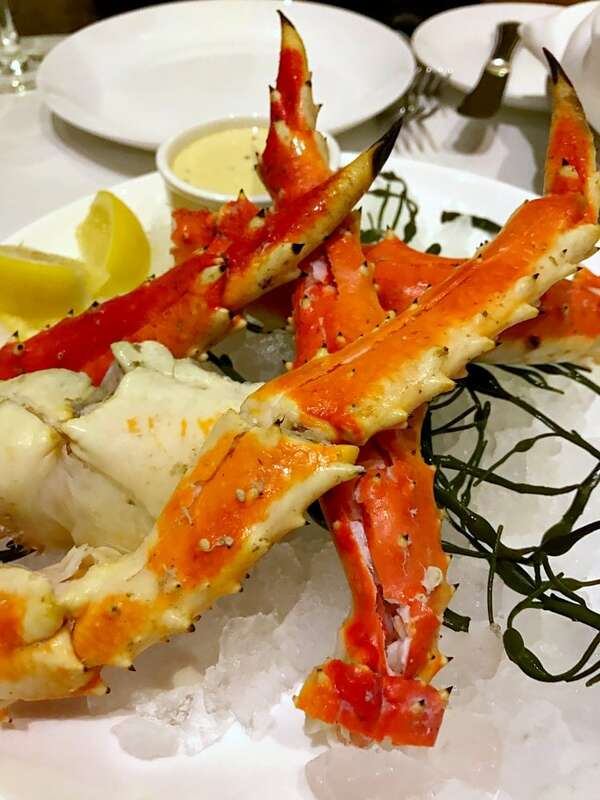 These crab legs are first up for our dinner – we order them EVERY time we go because they are the most amazing crab legs you’ve ever had. Then it’s on to the signature dish at Bobby Flay Steak, the Philadelphia Style Strip Steak. I’ll apologize in advance here for not having a picture of this steak, but we were so hungry we dove in without thinking…it’s that good. But its a perfectly seasoned strip steak in sitting on top of a pool of provolone cheese sauce and topped with caramelized onions. It really doesn’t get much better than that. We keep saying we’re going to try something different the next time we go and we never do it. But next time I hear the veal rib chop is worth trying…so I’m going to do my best! I did get a picture of dessert. It was SO good, we honestly didn’t have room for it but come on…you’ve got to get dessert. 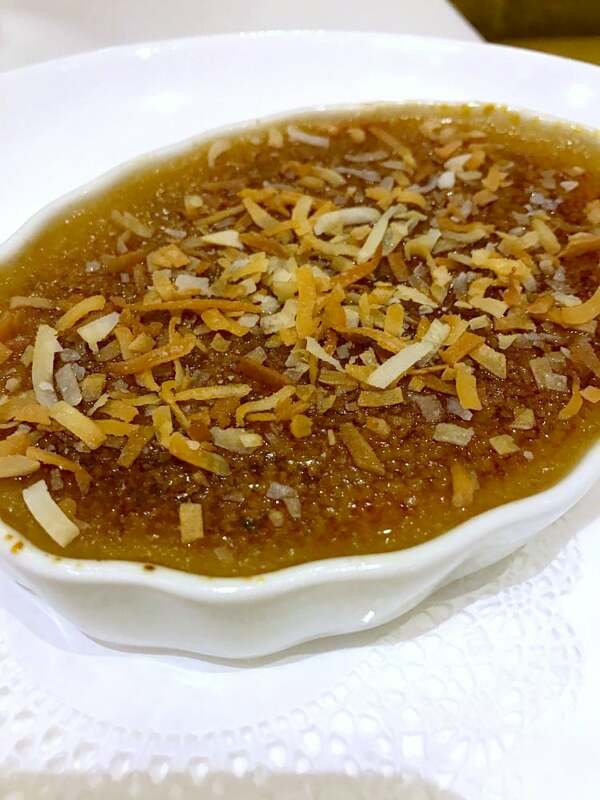 We ordered this Toasted Coconut Creme Brulee and then realized that we were enjoying our dinner so much we lost rack of time, the show was starting in 5 minutes! But I promise we didn’t leave much behind. We got that dessert down fast and then we were on our way. Thankfully, like I said before it’s not that far over to the Music Box where Rob Thomas was playing. The concert was amazing as usual, it’s always a great show and a nice crowd, nothing too crazy but just the right amount of fun. The concert is actually for a charity called Sidewalk Angels that Rob Thomas and his wife, Mari run. They provide funds and support to no-kill animal shelters across the country so the price of our tickets go directly towards that charity. 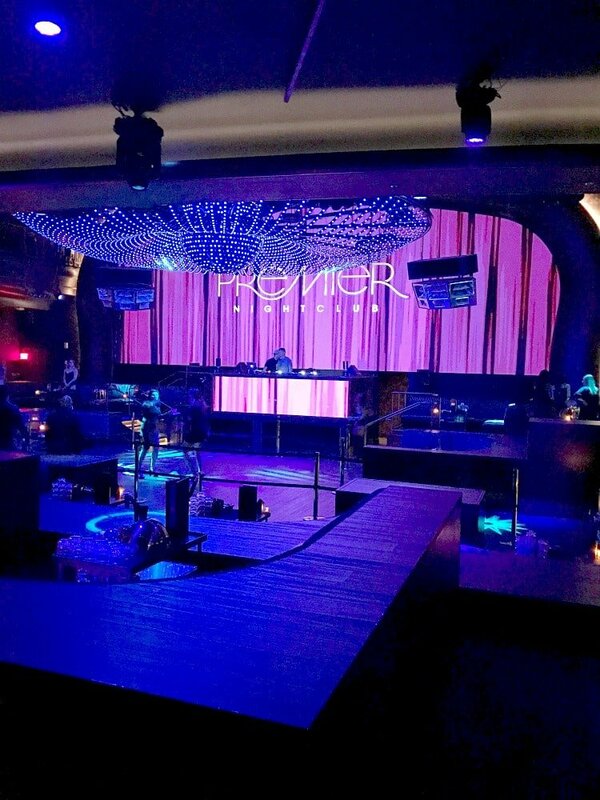 And then – it was off to the Borgata’s new night club called Premiere. Am I a night club person? No. I feel too old to be and normally am long asleep before any type of night club even opens. I swear to you, we were laughing at the opening time of this club. 11:30. It OPENS at 11:30!!! Honestly on a good night I’m in bed long before that. Like 2 hours before that. But we were here and we had gotten a couple of VIP passes courtesy of Borgata to check it out, so check it out we did. I have to say it was pretty cool inside – the place was packed when we left, this picture was from when it first opened at 11:30 and we were some of the first people in there. We hung out there until 1:30 (much to our surprise) just watching the whole scene…then it was off to bed. After a long sleep, a really long sleep…we grabbed coffee (lots of coffee) and headed over to the Water Club pool and spa area to get in some more relaxing. 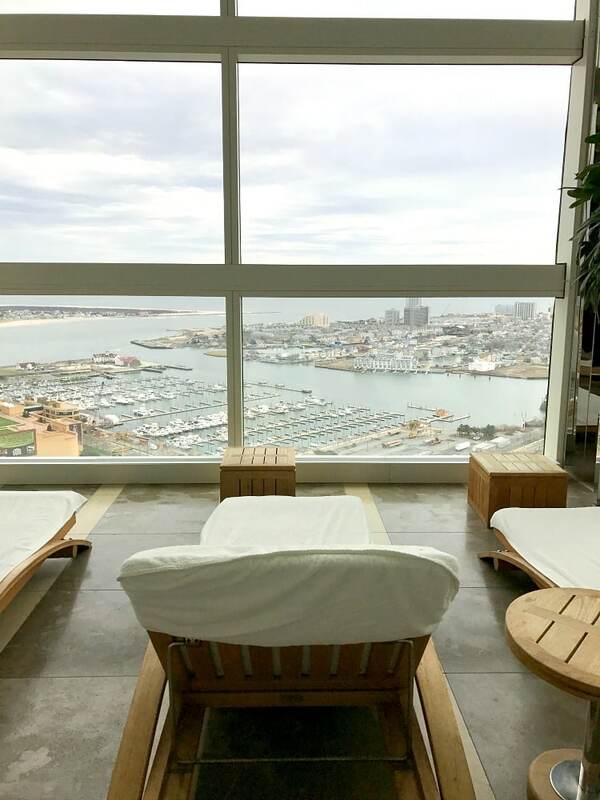 We opted out of massages this time, although I’ll tell you – I really could have used one, but instead we just sat by the pool and had some lunch. The view form this place is pretty amazing – you can see everything from up here! And those chairs…I think we both might have nodded off a bit there…yes, nodded off. Slept. Because we’re old people that stayed out until 1:30 – at a night club!!! We get props for that for sure. 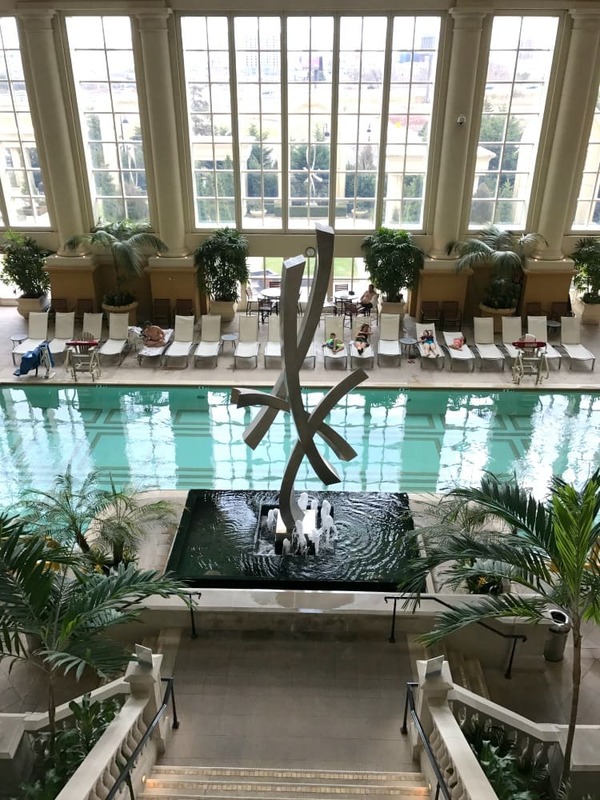 If you’re not staying at the Water Club like we were at the Borgata, the main pool area is pretty awesome too. You can order lunch, cocktails, pretty much anything you want. There’s a huge pool as you can see and a nice hot tub area off to the side. SO as you can see, there’s plenty to do in AC without having to hit the casinos if that’s not your thing. 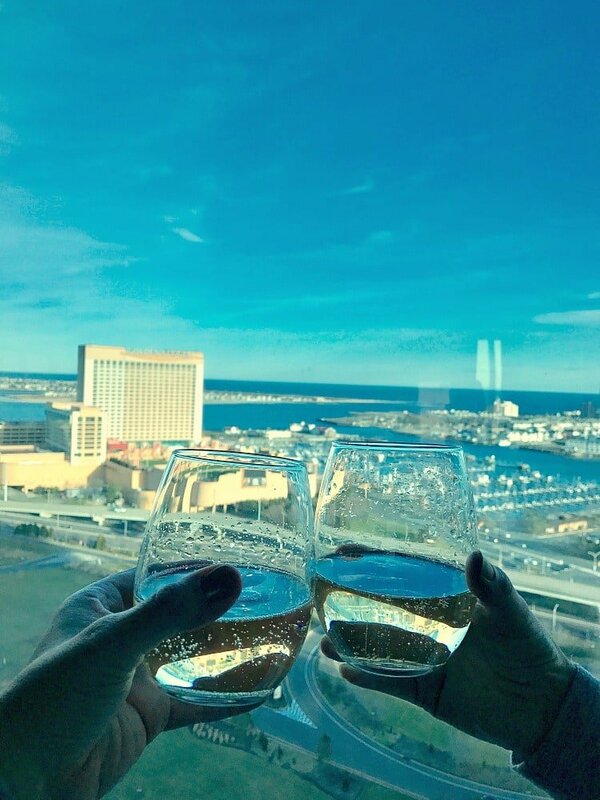 Especially when you stay at a place like the Borgata that you can just eat, drink and play your way through the weekend!